Madhuri Dixit is the true queen of Bollywood. For her impeccable style and indomitable attitude, she is admired by all in the industry. Madhuri is a perfect example of combination of beauty and the brain. Her charisma has not been constrained to movies alone, as she has proved her worth in classical dance as well. In addition to Hindi films, she has performed in numbers of regional films as well. Most of her movies have created box office hits. Some of the memorable hits of Madhuri are Dil, Beta, Sajan, Hum Apke Hai Kaun, Dil To Pagal Hai, Lajja, Devdas etc. Today, one would find her being an important mentor in many of the reality shows of dance and acting. No wonder, even in her 40’s, the diva continues to uphold a very strong fan following all over the world. Madhuri is a true natural beauty who looks equally gorgeous even without slightest touchup. 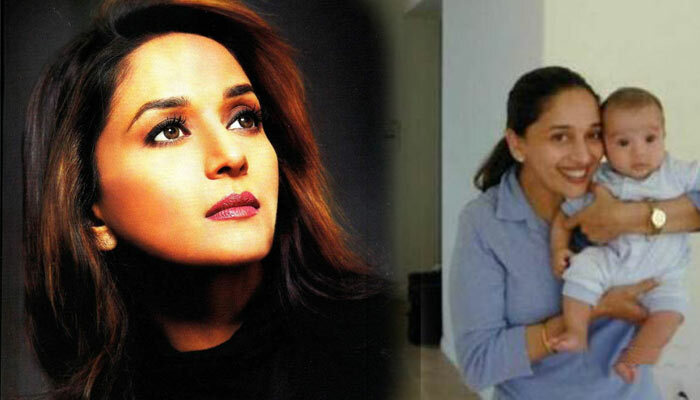 Here are some of the Madhuri Dixit photos without makeup to prove our point. The secret of Madhuri Dixit’s toned figure is regular exercise. Although she prefers dancing to exercise for keeping in shape, she does not comprise with the necessity of working out so and when required. She looks stunning without any touchup in this picture. Ever chased by the paparazzi, the snap was taken outside the international airport of Mumbai. 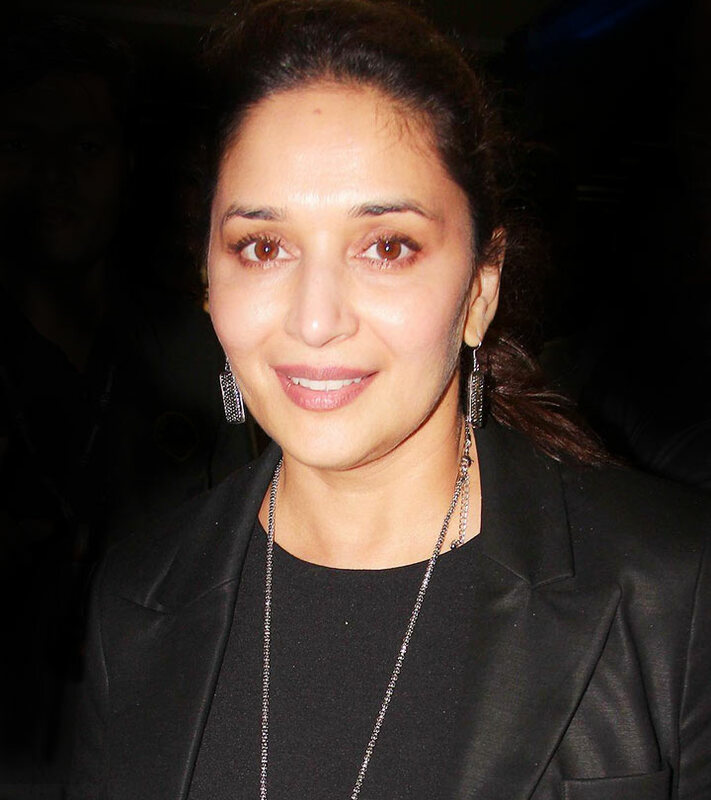 With no hint of makeup, Madhuri looks gorgeous and stunning as usual. 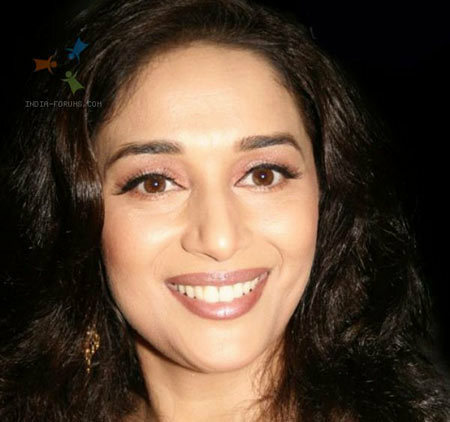 Madhuri was very close to her father. No wonder, the industry poured down to console the celebrity when she lost her mentor recently. Although a cheerless event, she turned up well dressed in a white kurta pajama. 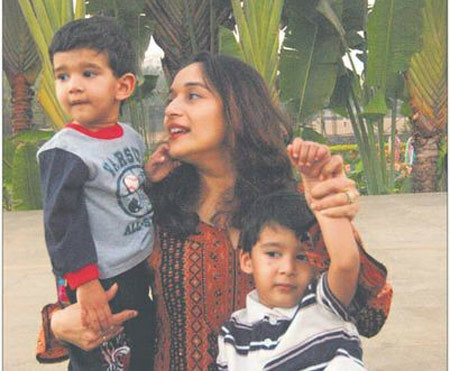 Her two sons, Arin and Raayan are closest to her heart. She spends as much time as possible with the kids. Look how stunning the celebrity mother looks here without any makeup. 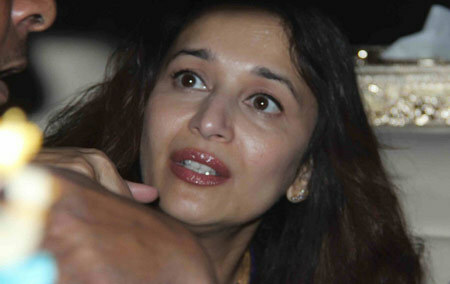 Madhuri caught up her colleagues Madhur Bhandarkar, Ajay Devgan, and Imran Hashmi during an event. With minimal touchup and slight lipstick, she looks a diva as always. Her smile has been the greatest makeup she wears all the times. 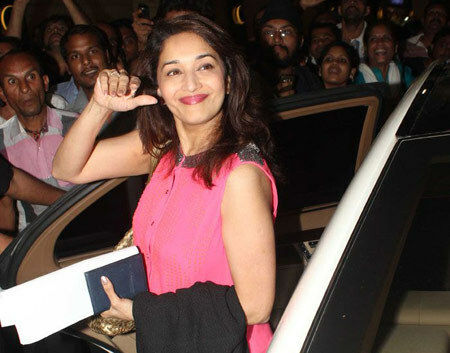 Draped in a stylish Anarkali suit, Madhuri appeared in a shopping mall with her favorite no makeup looks. This true Indian beauty loves to dress traditional most of the times. 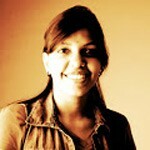 She believes that Indian women look best in traditional attire. 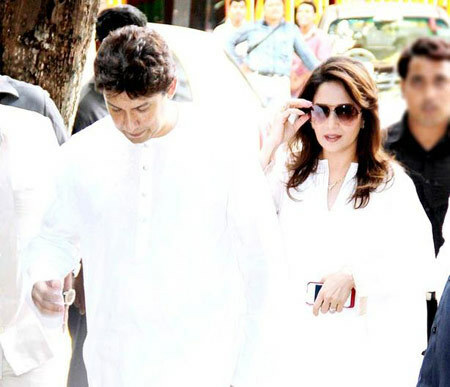 A true believer of God, Madhuri visits temples on regular intervals. The picture was taken outside the famous Siddhi Vinayak temple of Mumbai, India. With no visible makeup, she appeared as another girl next door. Nevertheless, anyone can see how pretty she looks without touchups. 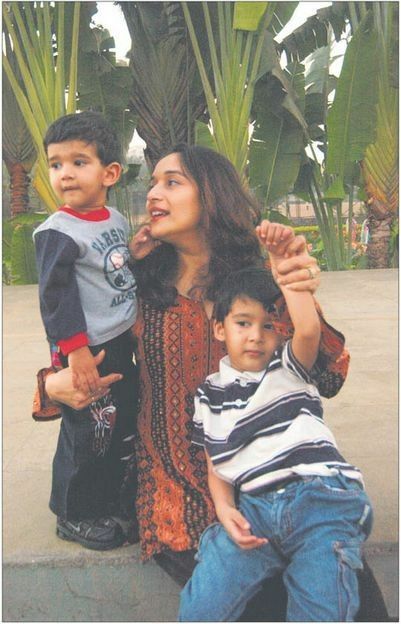 Madhuri soon got back into shape after her childbirth. The snap was taken just few months later her elder son Arin was born. You can see how pretty she looks with the baby in her lap. 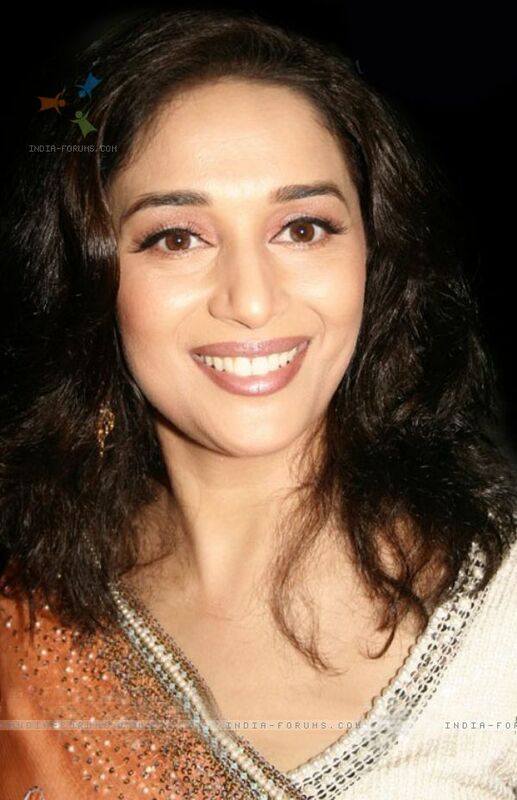 Another picture pretty smile appearance of Madhuri. She is stunning in every look. No matter with or without makeup, her smile alone can create a sensation. 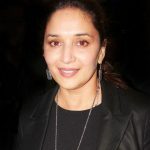 Madhuri settled in the USA after her marriage in 1999. The picture was taken at the airport when she got back to India with her husband Dr. Nene. She looks yummy as ever in this casual look. 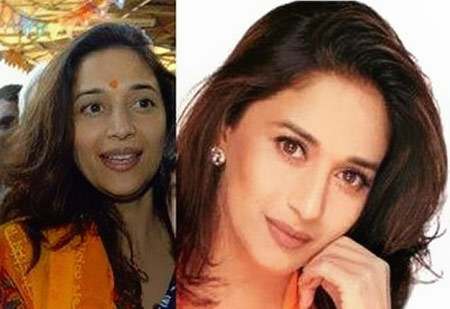 So what your verdict on these Madhuri Dixit without makeup looks? Do leave us a comment and tell us! Taylor Swift Without Makeup – No Makeup Pictures!